If y’all haven’t heard, a storm’s a’brewin’ out there. Her name is Florence, and she ain’t pretty. But I jest – of course you’ve heard about Hurricane Florence. How could you not? It’s forecast to be the most severe storm to hit North Carolina since Hurricane Hazel in 1954. 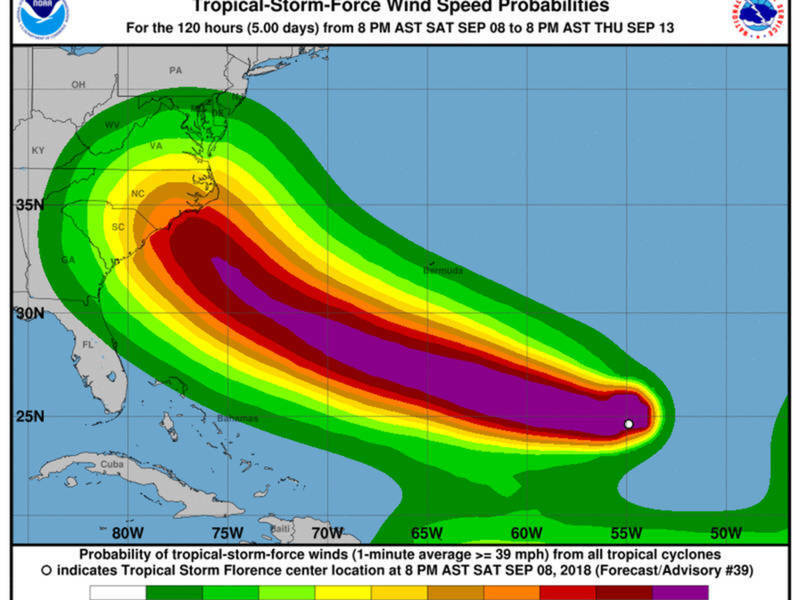 The Category 4 storm is barreling toward the North Carolina and South Carolina coasts and is predicted to make landfall near Wilmington, N.C., either late Thursday or early Friday. Due to the storm’s breadth, it will affect the coasts and inland regions of Georgia, South Carolina, North Carolina and Virginia. A hurricane’s impact goes beyond its strength. Its speed is part of the issue. Some hurricanes quickly sweep through in a frenzy of wind and rain. Others, Florence looking closer to this sort, move slowly, unloading torrential rains for long periods of time before finally passing. 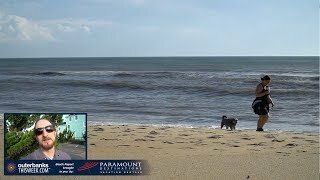 What does all of this mean for everyone on the Outer Banks? Rain, storm surge and high winds are expected, but right now we don't know how much. A mandatory evacuation for all visitors and residents was issued in Hatteras Island and Ocracoke Island on Monday, and it took effect in the remaining areas of Dare County on Tuesday morning. The Outer Banks is really a ghost town. Visitors are gone, and many residents are packing up and hitting the road. The big question is where to go. Florence’s path has been unpredictable, and information regarding where it will hit (and particularly where it’ll hit the hardest) seems like it changes every few hours. 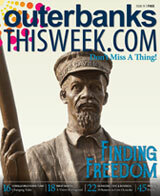 All you need to know is that the Outer Banks is closed for business (literally . . . my editor sent me packing on Tuesday morning to evacuate). Restaurants, grocery stores, mail service, shops – just about everything is closed. The last ferry from Ocracoke to the mainland (Swan Quarter) left Wednesday morning at 9:30 a.m.
Events or activities scheduled to happen over the upcoming days have been either canceled or postponed. If you had your eye on a particular happening, call individual businesses or organizations to learn about their plans, but assume for now that it has been cancelled. 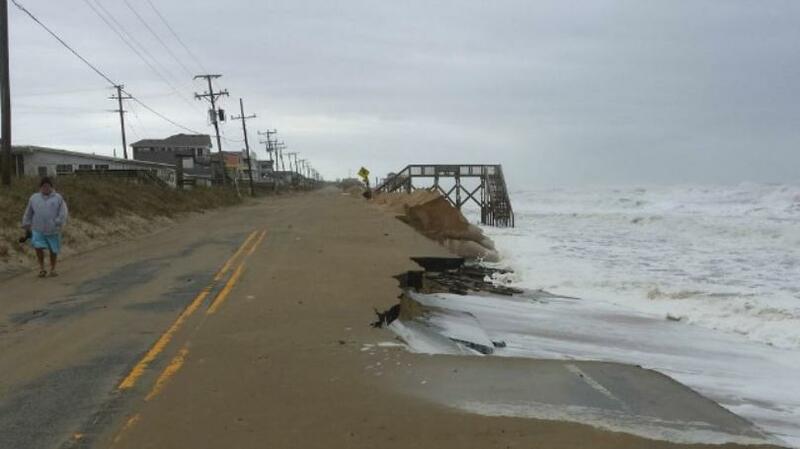 Photo: A view from a past storm: ocean overwash on the beach road in Kitty Hawk. If you’re one of the few planning to stay and, as they say, ride out the hurricane, do your preparations earlier rather than later. Many grocery stores are already low on supplies like bread and bottled water, so stock up if you see it in addition to nonperishable items. Many grocery stores have closed. Keep your prescription medications in a safe place. Make sure your car has a full tank of gas. Charge your laptops and phones. Get flashlights, spare batteries, a generator, a crank radio or anything else that may be useful if we lose power for several days. Have work gloves, trash bags and blue tarps handy. Put passports, birth certificates, social security cards, marriage licenses and other important documents in a Ziplock bag and keep near your car keys. Remember your pets too. Get extra dog and cat food. I wish it wasn’t necessary to say this but I will: Don’t leave your pets outside and, more importantly, don’t evacuate your house and leave your pets to fend for themselves. In case it’s needed, though, put collars with ID tags on your dogs and cats. And by all means, don’t sleep naked. You know . . . just in case. No telling what could happen! For regular weather updates, I like using the NOAA Weather website. Alright, get back to your hurricane preparations. Whether you’re hunkering down or heading out, be smart and stay safe. We’ll see y’all next week!